Basketball Slam Dunk Wall Decal Set Create a game of basketball on your wall with our mixture of many basketball wall decals. 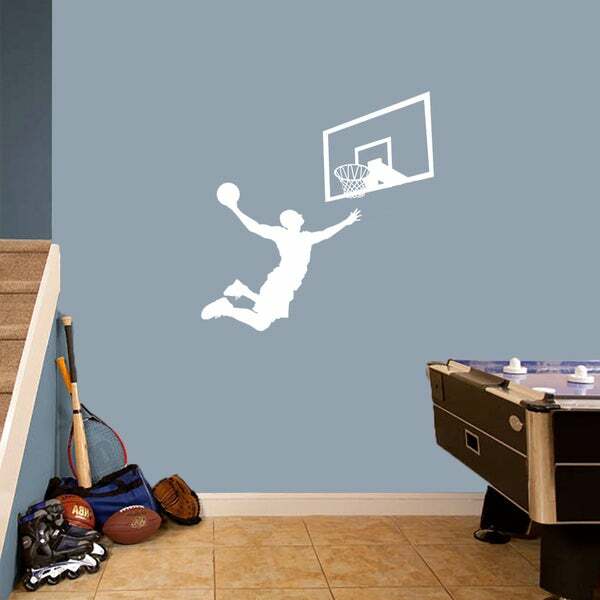 Or, highlight above a headboard with this basketball player slam dunking into the backboard. Great for any sports lover's bedroom or sports themed basement or man room.